Greetings guys! 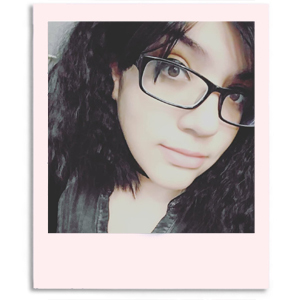 Still feeling under the weather, but I'm trying my best to remain positive. The smell of acetone has been killing me though so I'm having to really slow it down. Basically no five-hour swatch-a-thons. That being said, I'm pretty stubborn so I'm still swatching away as I cough up a storm haha. It really is one of the most relaxing moments throughout my day. 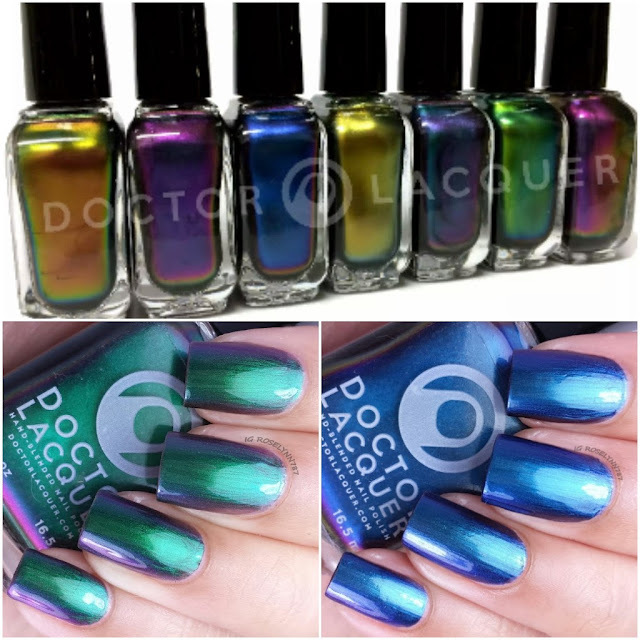 Well today I have two of the seven polishes from the ChromoZones Collection by Doctor Lacquer to share with you guys. This seven-piece multi-chrome collection is inspired by the nature wonders of the world. Intrigued yet? Cause you totally should be. These multi-chrome polishes are supposed to shift between at least four different colors. 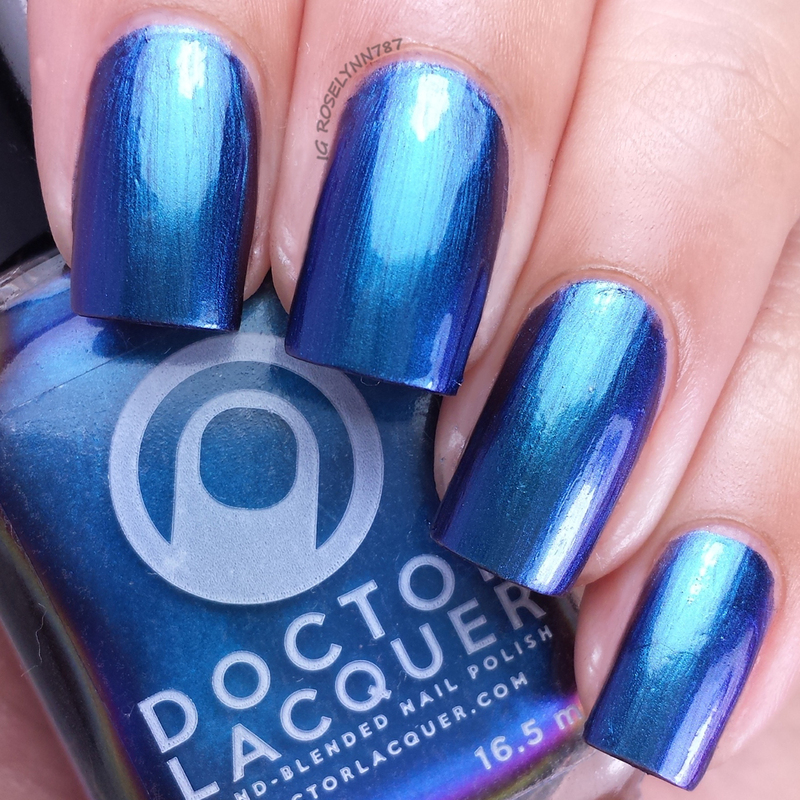 The ChromoZones by Doctor Lacquer is available for purchase in individual full-size bottles only. The full collection package is already sold out unfortunately. As I mentioned before, this review will only be covering two of the seven polishes in this collection. 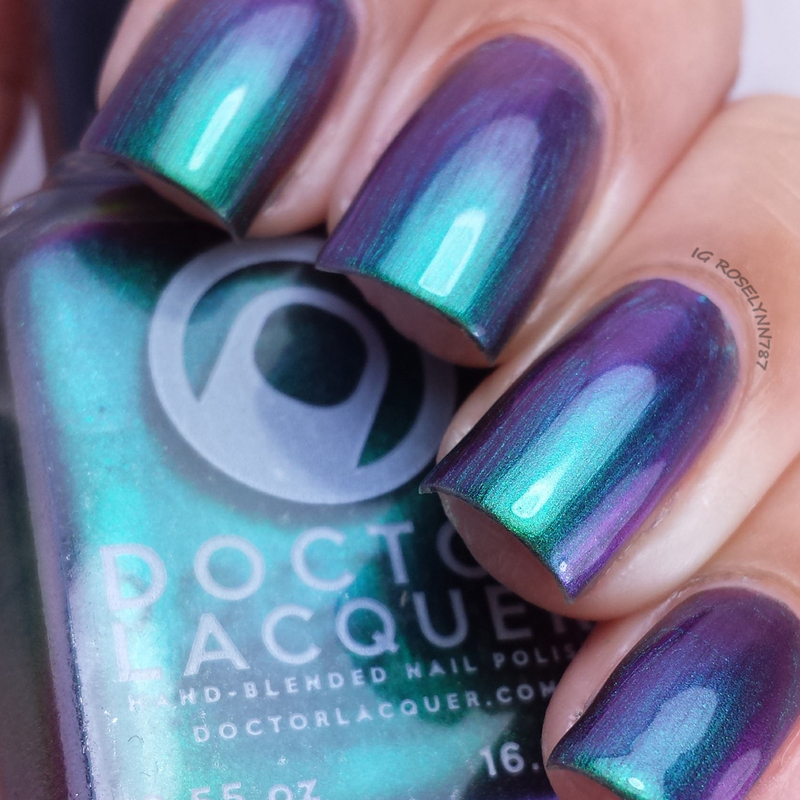 The Dance of the Spirits is a multi-chrome polish that shifts from shades of green, blue, and purple. Inspired by the Northern Lights. As soon as I saw this one in the shop I fell in love with it. 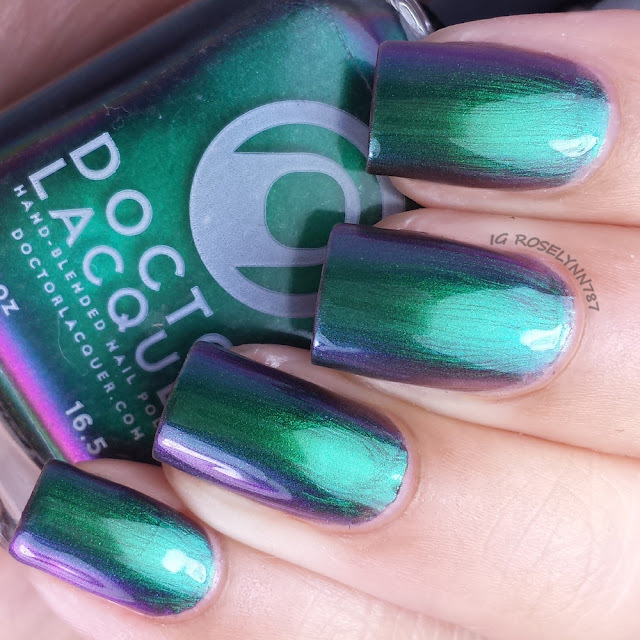 This is everything you want a multi-chrome polish to actually be. The color shifting is surreal and doesn't require much tilting in light to see all the different shades. Definitely recommend this one to anyone wanting to try out a multi-chrome polish for the first time. Excellent formula and consistency, I have no issues to report on this polish whatsoever. No staining either for those who might be curious. 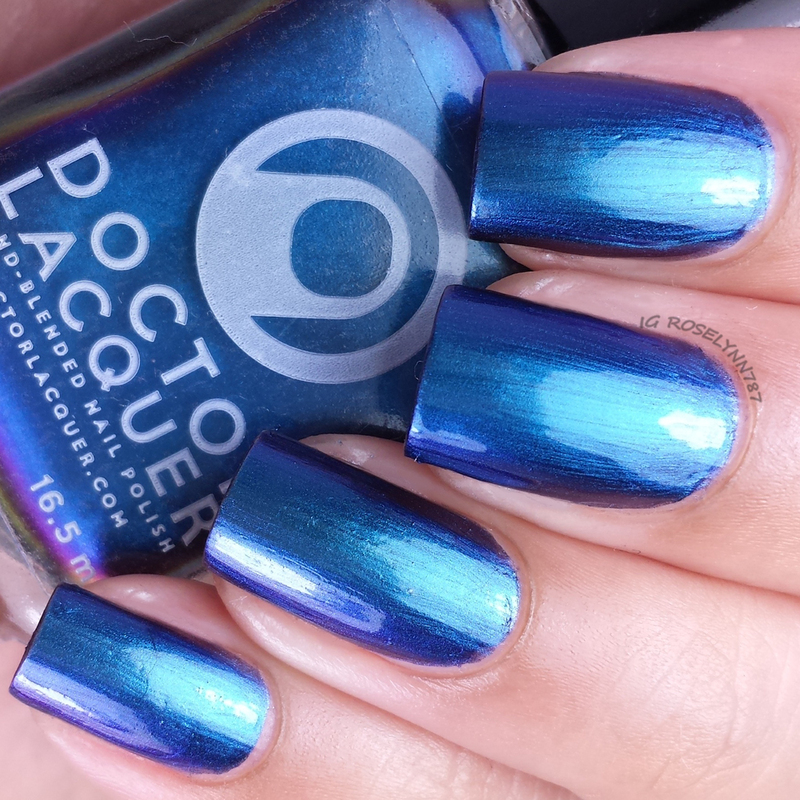 I swatched this color using two thin coats for full opacity and sealed it with a topcoat. The Smoke that Thunders is a multi-chrome polish that shifts from shades of red to violet, with subtle purple and cyan shifts. Inspired by Victoria Falls in Zambia/Zimbabwe which is the largest waterfall in the world. The chrome color shifting is a little bit more subtle with this initially. The shade is very beautiful and only grows in intensity when you shift the colors. Resemblances the water very closely in my opinion. Formula and consistency were excellent, gave me no issues in applying. Like The Dance of the Spirits, the brush strokes are very clean and don't require much effort to be smooth. 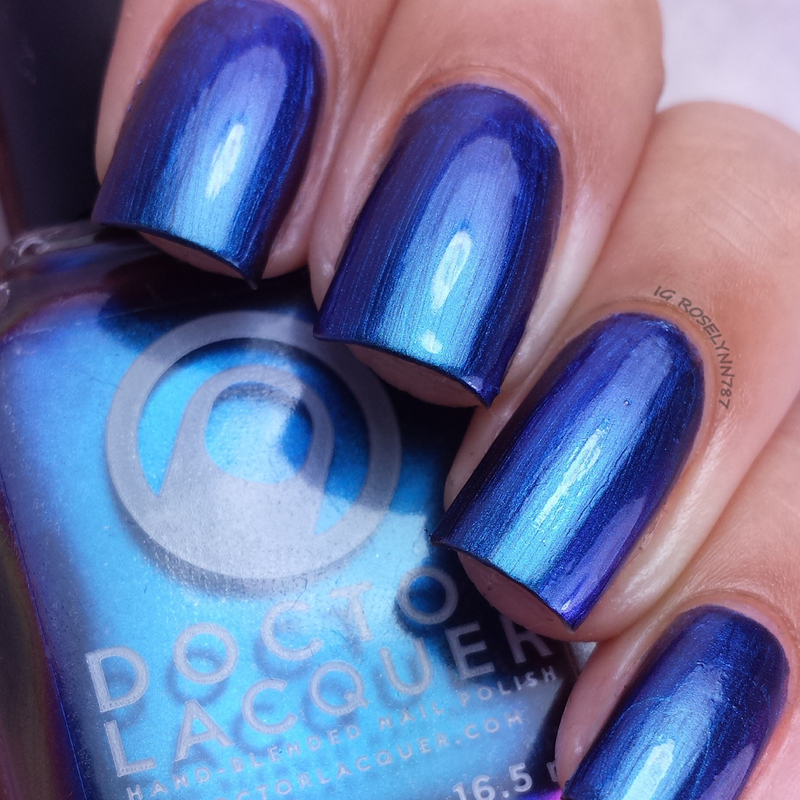 I swatched this color using two thin coats for full opacity and sealed it with a topcoat. Overall I'm absolutely stunned by these multi-chrome polishes, to say the very least. I was not expecting them to shift so flawlessly. I've had multi-chrome polishes in the past that would shift under different lighting, but all it takes with these is just a slight angle shift and you can see the difference. I was also really impressed with the formula and consistency with these two. I think I was silently expecting a lot of trouble with the brush strokes. But there was none of that with these and that's coming from someone who does have trouble with brush strokes from time to time. Definitely interested in picking up some of the other colors and hopefully having a similar experience with them. 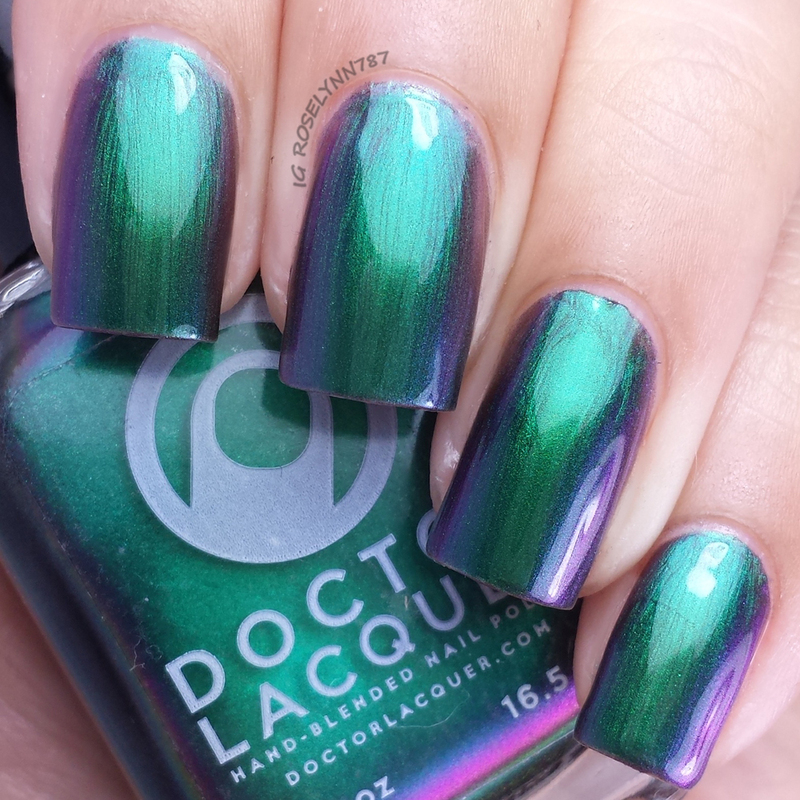 Don't forget to check out Doctor Lacquer and her many available collections including the ChromoZones. These are insanely beautiful!! I know what you mean about acetone when you're sick. I was super sick last weekend and couldn't stand being around acetone. It broke my heart! I missed it! !